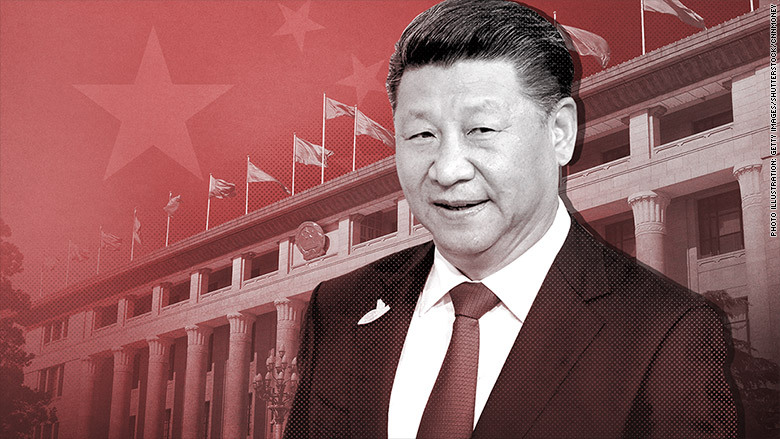 The merger was revealed in a Communist Party document on a sprawling government reorganization program, championed by President Xi Jinping to reinforce the party's absolute control in all aspects of state governance. State news agency Xinhua released the document Wednesday after it was approved by China's rubber-stamp parliament. With echos of the Voice of America radio service created by the US government during World War II, Voice of China is tasked with "propagating the party's theories, directions, principles and policies" as well as "telling good China stories," according to the document. It will be under the direct control of the party's central propaganda department. The new broadcast juggernaut is being formed at a time when Chinese authorities face growing challenges to control their message in the age of the internet and social media. They are making strenuous efforts to maintain strict censorship at home while pouring money into propaganda projects abroad. Now the most powerful Chinese leader in decades, Xi has cracked down hard on freedom of expression since taking office in late 2012. He has also taken a tough line on the role of news media in the party's "ideological work." In the past decade, Beijing has spent billions of dollars on a global campaign of "soft power" aimed at enhancing its international image and spreading its views. CCTV has launched large operations in Washington and Nairobi, the capital of Kenya, with non-Chinese journalists fronting news reports, while China Radio International broadcasts in 65 languages -- more than any other station in the world. The Chinese government has also set up cultural centers -- such as Confucius Institutes to promote the Chinese language -- across the world, and increasingly provides grants to foreign think tanks in an attempt to shape public opinion. Some of the Chinese efforts overseas have triggered backlashes in host countries, with politicians from countries including Australia and the United States accusing Beijing of political meddling through its foreign operations. Still, even before the creation of Voice of China, some Chinese state media outlets had spotted a growing opportunity for Beijing's propaganda on the global stage. "It takes more time to completely eliminate the asymmetry of information dissemination between China and the West, but this has obviously become a tendency," the Global Times tabloid wrote in an editorial last week. "The increasingly mediocre Western media also reflect the West's declining advantages over China."